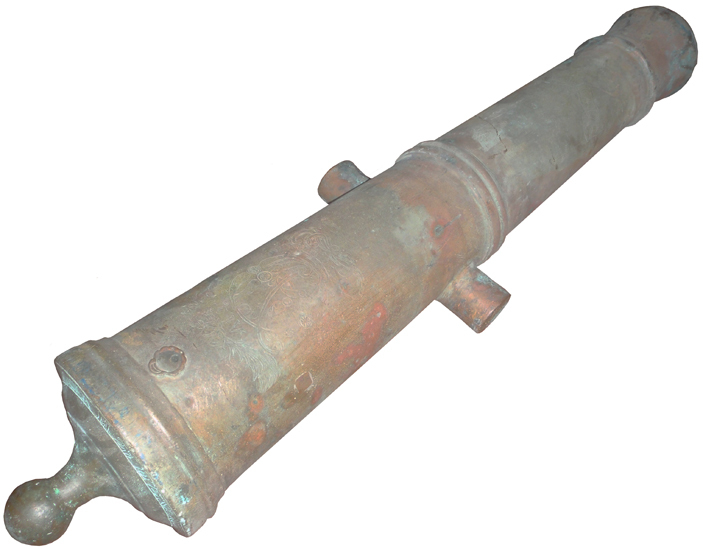 1801 Museum Quality Spanish PEDERO - Ships Deck Cannon! PLEASE NOTE THAT THIS ITEM IS AN ANTIQUE AND CANNOT NOT BE FIRED DUE TO ITS OLD AGE!! 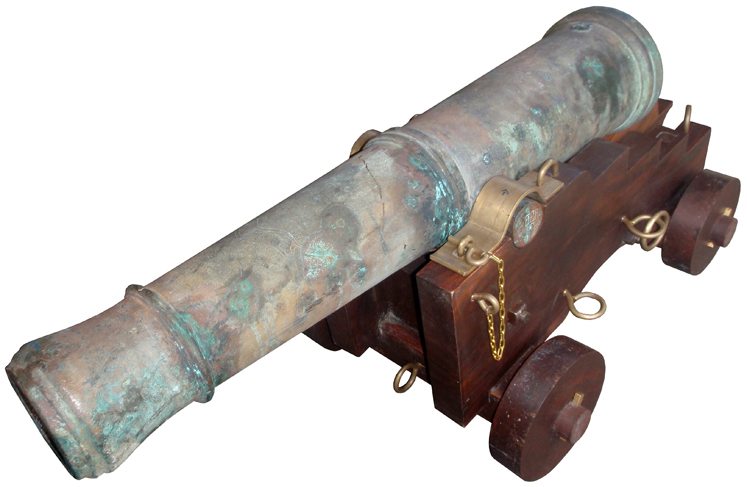 This is a MUSEUM QUALITY Spanish Pedero - Ships Deck Cannon! 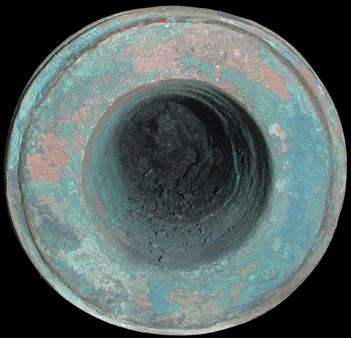 Pedero's usually fired stone cannon balls. They were the lighter guns and were therefore kept on the upper decks of Spanish fighting ships. 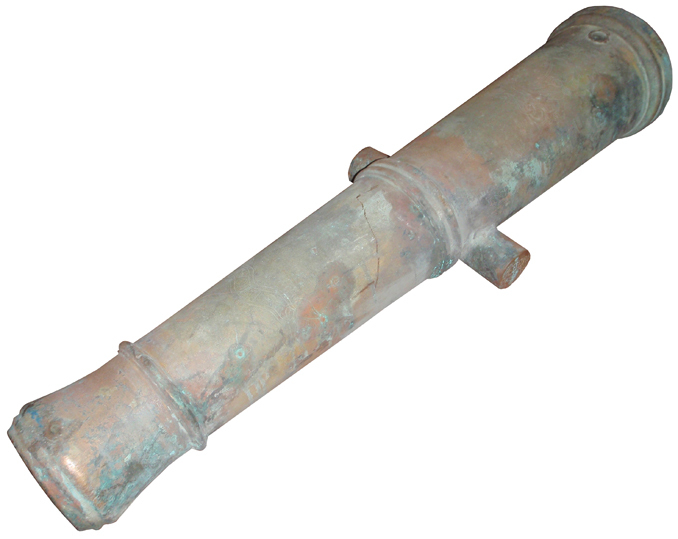 This one was recovered from a shipwreck in the central Philippines! 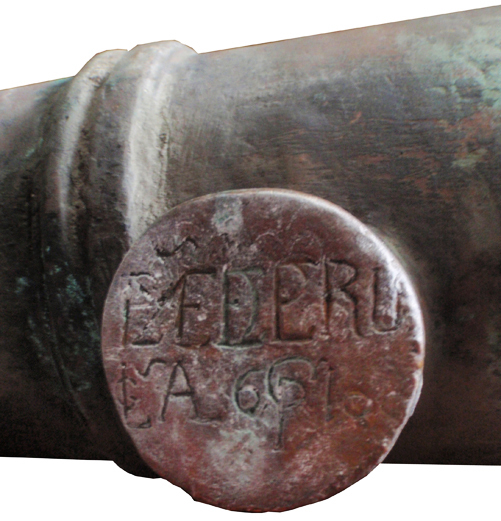 This Spanish Pedero has a Spanish Crown and was forged by the Spanish in 1801 in the Philippines during Spanish rule! 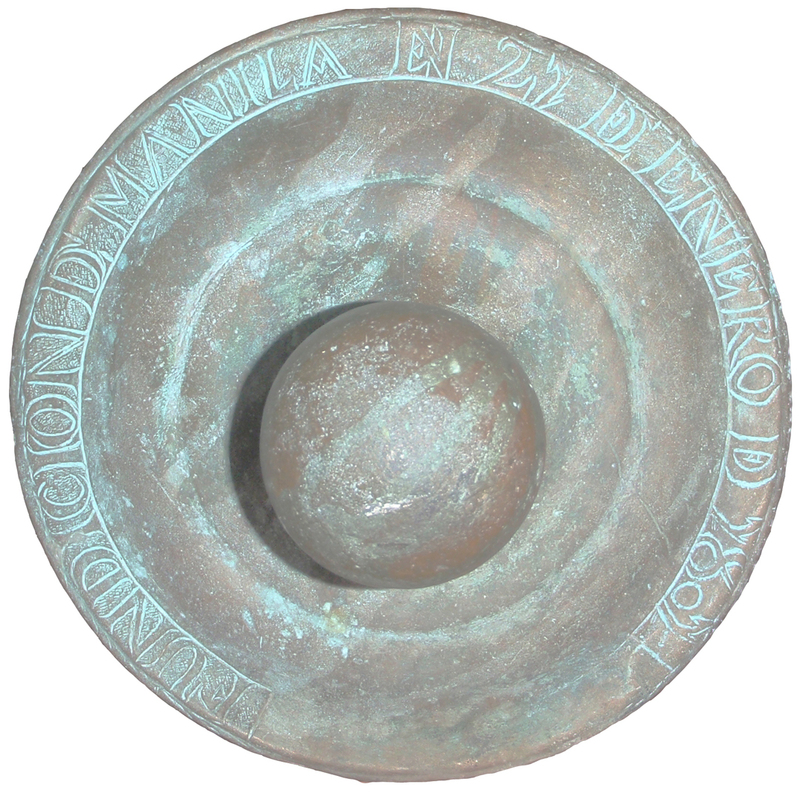 Below see the photos & details of the Beautiful SPANISH Bronze Pedero. This item would be a GREAT DISPLAY, DECORATION and CONVERSATION piece for any; home, office, store, MARITIME museum, etc! 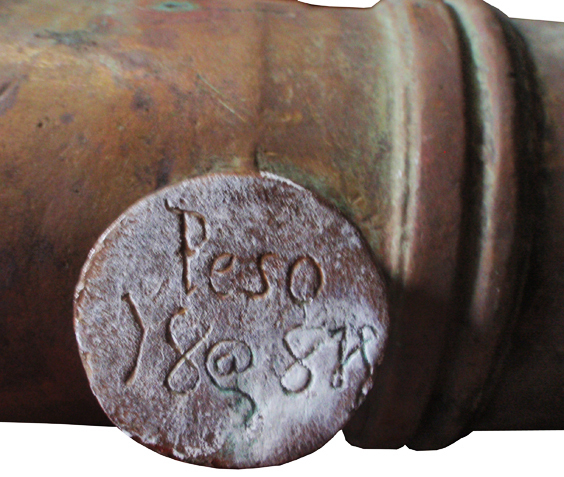 Close-up of port side Trunnion with marking showing TYPE of Gun 'PEDERO' and it's CASTING NUMBER. 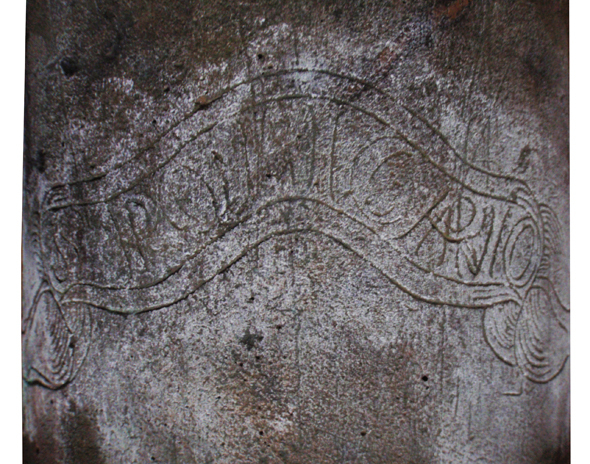 Close-up on the First Reinforcing showing the detail of crest. 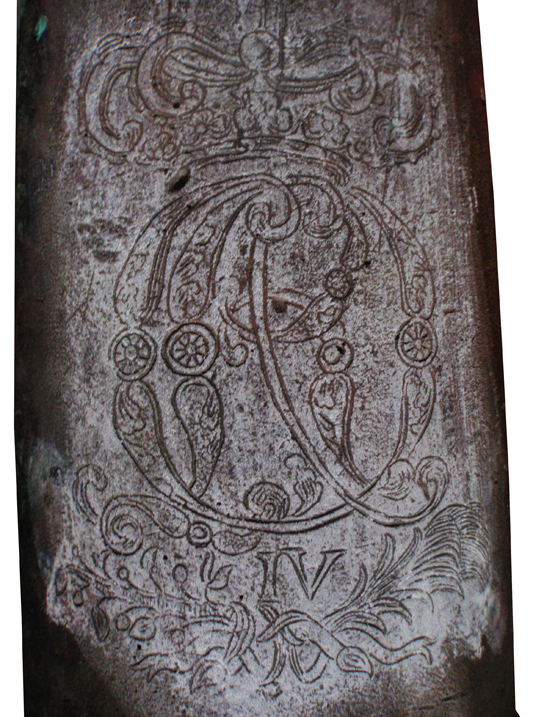 The monogram is that of King Carlos IV of Spain, who reigned from 1788 - 1808. 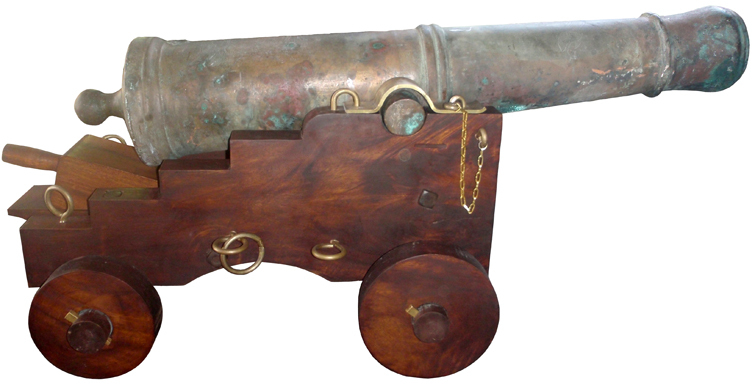 Included with this Spanish Pedero 'Ships Deck Cannon' is a Wooden Ships Cannon Carriage (based on 1750's Sea Cannon Carriage Design - all the way down to the brass hardware). 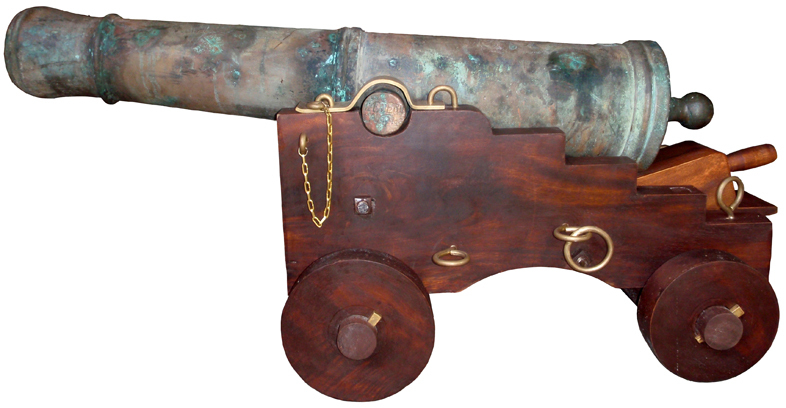 It is made of the hardest wood - Kamagong - which is equal in hardness and strength as Mahogany wood.